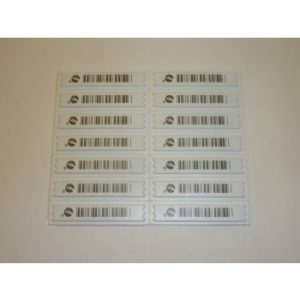 These labels are genuine Sensormatic DR labels giving superior quality of detection and deactivation. 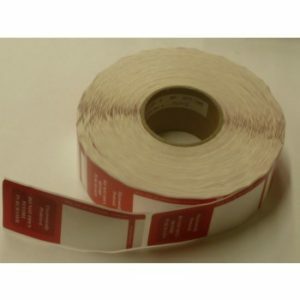 The labels are in sheet form and are suitable for hand application. This small 18 x 14 mm label has no RF circuit but has a printed circuit with warning. The label is suitable for the high value small items that normal RF labels are too big for. The size of this label at 15×52 allows cosmetic retailers to protect high-shrink, difficult to tag items such as lipstick, eyeliner, perfume, or any other product that is too small for the more traditional RF Label sizes. 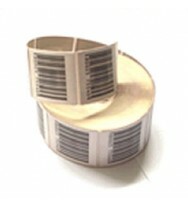 The top paper can be plain as shown or, if dummy barcoded, clear or bespoke printed is required, please contact us. 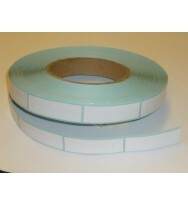 Protect your products in the Chiller or Freezer cabinets with this adhesive label. When applying the label make sure the product surface is dry and above freezing point. 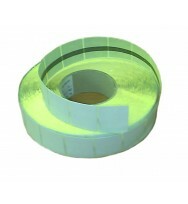 The label size is 40mm x 40mm and comes in rolls of 1000. This is the largest of the common labels and has the best performance. BC = Dummy barcode, for different top paper, plain or bespoke printing, please contact us. This small 'super label' has a higher performance for its size. It is suitable for hand application and Source Tagging applications. 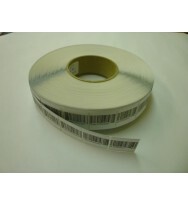 BC = Dummy barcode, for different top paper, clear or bespoke printing please contact us. This is the most common label and has a good performance. BC= dummy barcode, for different top paper, plain or bespoke printing, please contact us. This is the largest of the common labels and has the best performance. It is suitable for hand application and Source Tagging applications. For different top paper, dummy barcoded or bespoke printing, please contact us. For different top paper, clear or bespoke printing please contact us. 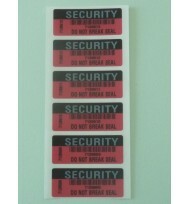 This label allows you to secure the awkward items that require a label longer than the normal 5 cms. 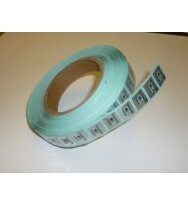 In rolls of 1000, this label has a 5cm x 5cm RF tag embedded into one end of the label. 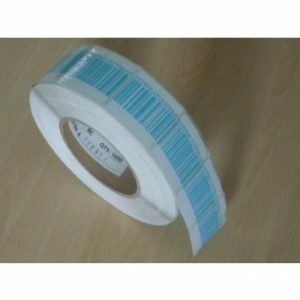 This label is 50 x 20 mm has a printed sequential serial number with barcode. When the label is attempted to be removed this two layer label leaves residue wording signifying tampering.